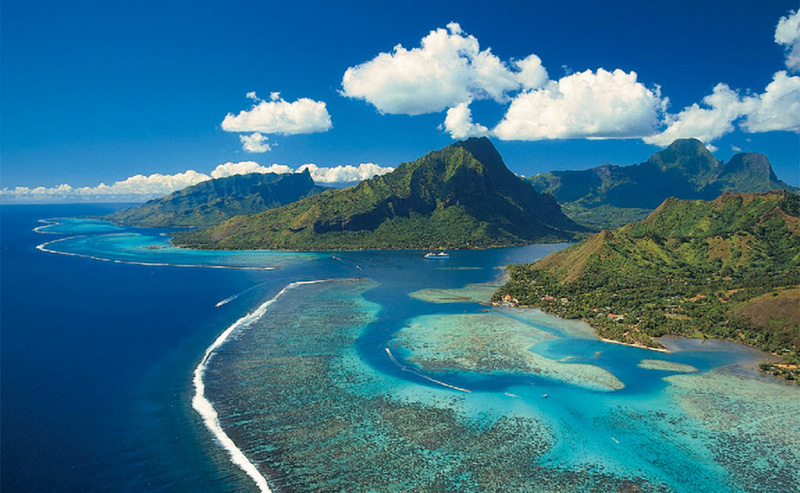 Moorea is everyone’s dream of a spectacular Polynesian paradise. Often believed to have inspired the mythical “Bali Hai” from James Michener’s Tales of the South Pacific, it is a magical island of savage yet captivating beauty; a land where emerald mountains rise from sandy shores and tower over pineapple plantations, ivory beaches and shady lagoons. Here, life moves at a much slower pace. Beyond the hands of time, a carefree existence prevails, where the dream of walking barefoot in the sand for hours on end and basking in the glow of the warm, tropical sunlight can become an instant reality. 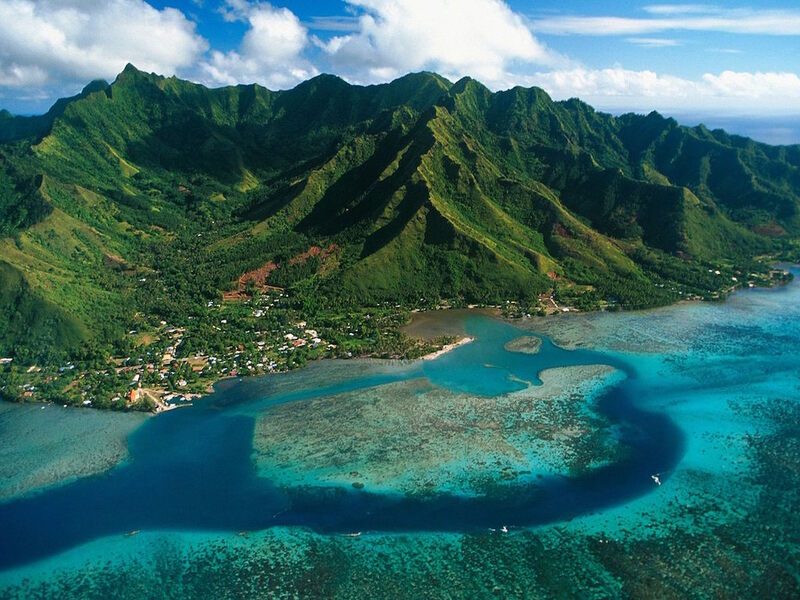 It is this carefree lifestyle, coupled with its close proximity to the island of Tahiti, that makes Moorea a favorite among Tahitians and visitors alike. And the locals – just like the lagoon that surrounds the island they call home – are extremely warm and inviting to all arriving guests. This relaxed, friendly atmosphere, set amidst the island's rare, natural beauty, is what gives Moorea her unique charm. Along Moorea's waterfront road lie her quaint villages with their many boutiques, restaurants and hotels. These establishments are interspersed with uninhabited beaches and secluded coves, maintaining a perfect environment for complete solitude and relaxation. A journey to the interior part of the island reveals cascading waterfalls and amazing panoramic views of Cook’s and Opunohu Bays, whose midnight blue waters are dotted white with yachts resting peacefully at anchor. 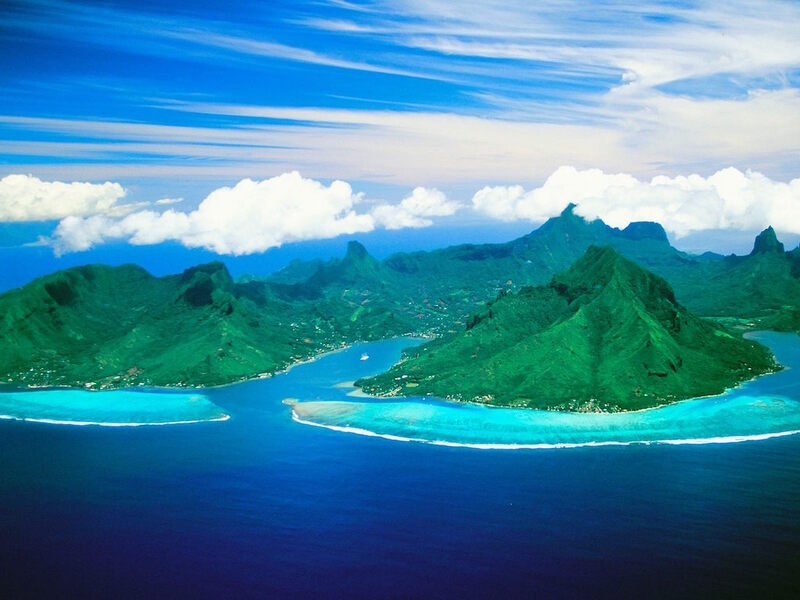 To explore her pristine landscape and witness her alluring splendor is to discover what many artists and travelers have seen before your time: Moorea’s timeless beauty and virtually untouched scenery. According to ancient myth, Hiro, god of thieves, had plotted to steal one of Moorea’s three mountains, Rotui, and take it to Raiatea. When warned of Hiro’s evil intent, Pai – who was half god, half man and known to have incredible strength – decided to keep close watch from Point Tata’a on Tahiti. When the thieves attempted to steal the mountain, Pai threw his spear through the top of Mount Mouaputa, awakening the roosters who sounded the alarm and drove away the unwelcome visitors. However, the thieves still managed to steal a piece of Mount Rotui and with it, some toa trees, which can be found isolated on a mountain on Raiatea. And to this day, Mouaputa still has the needle hole from Pai's spear.